Mary is a twelve-year-old handicapped young lady. Her mother died when she was three; no one wants to talk about it. Mary lives with her father and a housekeeper. The story is set in 1952. Her father constantly searches for a possible medical breakthrough to cure his daughter. Mary is strong-willed and determined. Her best friend, Laura, rides and cares for horses at her home. 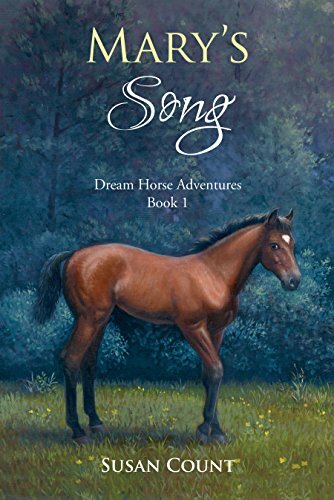 The girls become obsessed with saving a horse named Illusion who needs surgery. They find ways of earning money toward that end. Mary’s overprotective father frequently gets upset with Mary’s obstinate behavior. Laura and Mary disobey their parents and end up in trouble often, but that means lots of interesting adventures along the way. Will the girls be able to save Illusion? Can Mary’s father find a medical cure to help Laura walk again? Middle-grade and young adult readers will find the antics of these two friends’ fun and endearing. There is lots of humor and a few surprises in store for readers. Two strong female role models and a tender story of animal affection will appeal to a wide audience. Highly recommended. I look forward to reading the sequel.